Company — Piano For Kids | Piano Lessons For Kids in South Orange County, California. You'll be amazed at how fast your child will learn and how learning the piano will positively impact their personal development. We offer piano lessons for your kid in the comfort of your own home. I first started playing the piano at 3 years old. And, I can say with all confidence that its impact on my life has been nothing but extremely positive. Learning and playing the piano has helped me do well in school as well as become a well-rounded person in life. And I’m a firm believer, it will do the same for your child. I began teaching piano to younger kids when I was only a freshman in high school. This gave me an outlet for my talent as well as help me earn a good income while going to school. I can see that my students are benefiting from learning the piano. And teaching them has benefited me greatly as well. So I thought to myself, ‘More people should experience this.’ And so, I launched Piano For Kids, a company that offers quality piano lessons for kids and employs student-instructors to teach them the basic fundamentals of playing the piano and basic music theory. And when they have advanced far enough in their learning, we match them with one of our advance-instructors to take their learning to the next level. 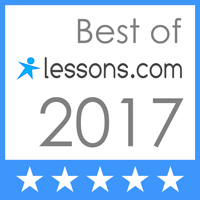 We offer in-home piano lessons for kids in South Orange County, CA - including areas such as Aliso Viejo, Costa Mesa, Dana Point, Irvine, Ladera Ranch, Laguna Beach, Laguna Hills, Laguna Niguel, Laguna Woods, Lake Forest, Mission Viejo, Newport Beach, Newport Coast, Rancho Santa Margarita, San Clemente, and San Juan Capistrano. Copyright 2017. Piano For Kids, LLC. All Rights Reserved.